Thompson Remodeling is a design/build remodeling firm located in Grand Rapids, Michigan. For nearly four decades, they've been providing custom remodeling services for homeowners all across West Michigan. Thompson Remodeling has been a ManoByte client since 2011. In fact, we designed the site you see above back in 2013. And while the design worked for their needs at that time, last year it became evident that it was time to step their inbound efforts up a notch with a complete HubSpot website redesign. Previously, their website was managed through a WordPress and HubSpot integration, where HubSpot was only leveraged in some areas of the site, such as their blog and resource pages. 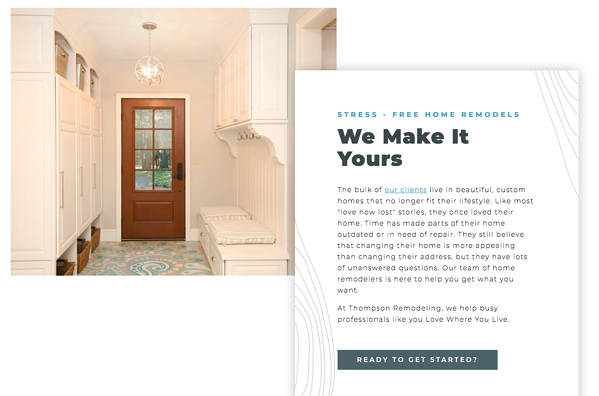 The Thompson team was finding that many of their customers wanted more information from them much earlier in the buying process; so while the site looked great, it simply wasn't doing enough to provide custom, personalized content to their site visitors to move them further down and through the funnel. For a small business like Thompson Remodeling, every sales opportunity is critical to their growth goals and future business projections, so they simply couldn't continue to operate under the WordPress/HubSpot integration system any longer. 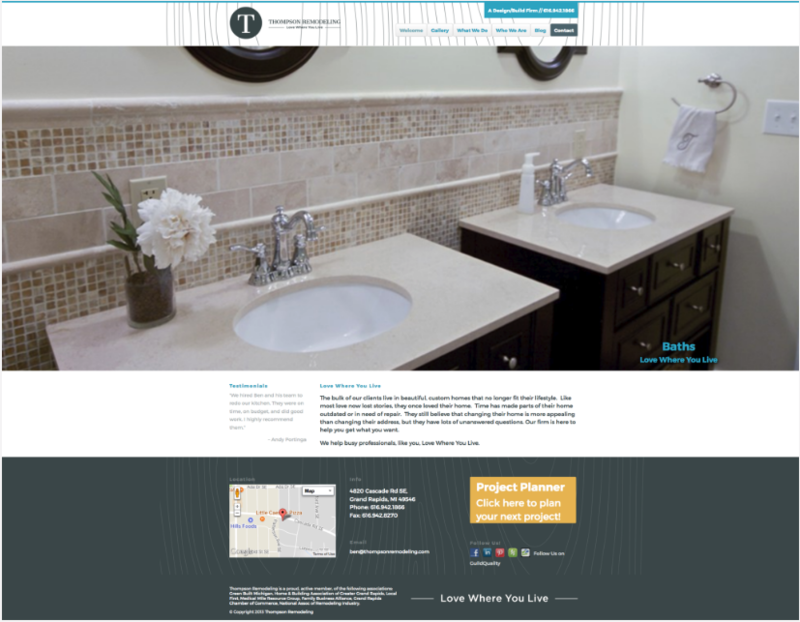 The ManoByte design team has a comprehensive process when it comes to website redesign projects like Thompson Remodeling. 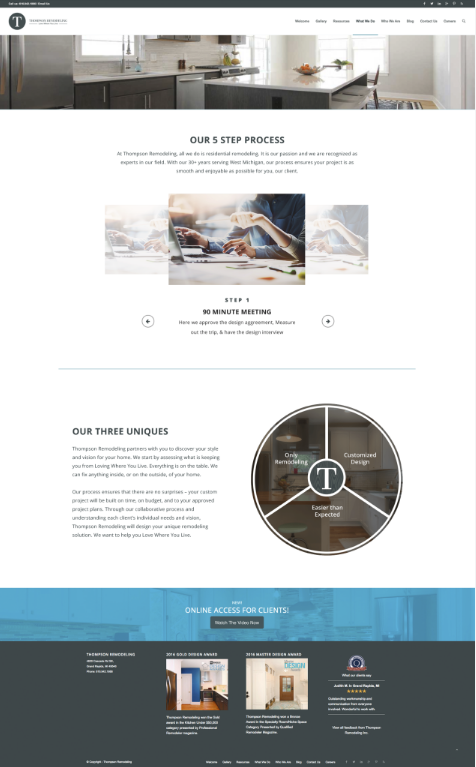 We began with a thorough Strategy and Discovery process, where we identified the needs, current challenges, and the primary goals of the new Thompson Remodeling website. We also conducted persona research to identify who the website's intended audience would be, then crafted content for the site based on those target personas. Then, the design and development team put together completely custom wireframes of the new site. When all that was completed, and the client approved our vision, we built the site, tested it, and went live! For Thompson, some of the notable design elements are the way each content module appears on the page as you scroll, drawing attention to the most important areas and leading the visitor to the next logical spot. The scrolling homepage images also showcase featured remodeling projects in a powerful, but not overbearing way. Thompson Remodeling had some very specific needs they wanted addressed with their new Gallery Page. Their customers report that before and after images for specific rooms within a set price range is tremendously helpful in their vendor selection process. Because of this, ManoByte wanted to deliver a solution that met those very specific needs of their prospects. We also identified that this was a great chance to capitalize on conversion opportunities. ManoByte created a completely custom gallery where the viewer is able to make selections based on the room, design style, and price range. 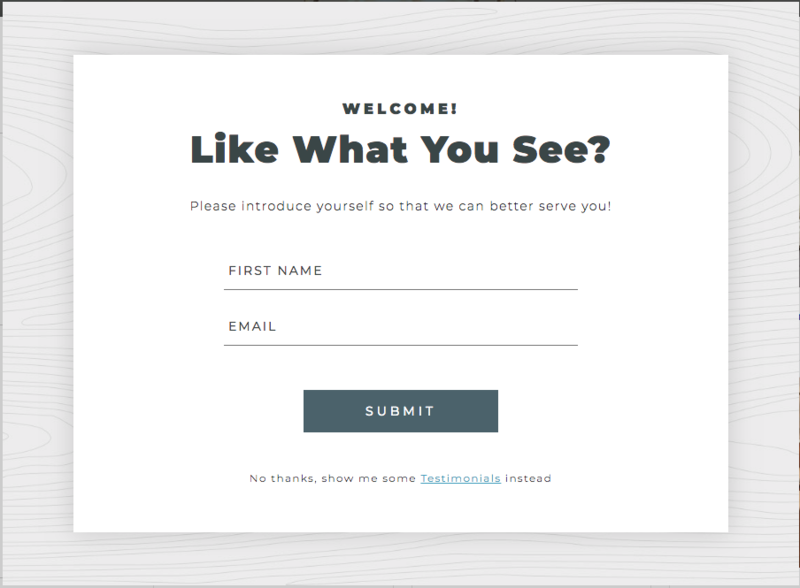 Once they make their choices, they are only able to view their customized selections after they complete a simple pop-up form. To ensure a quality user experience, this form only appears once, and once it's filled out, it unlocks all the gallery features and goes away for good. But the data collection doesn't stop with the conversion, as the page is built to record the data of exactly which gallery (or galleries) the guest is viewing. 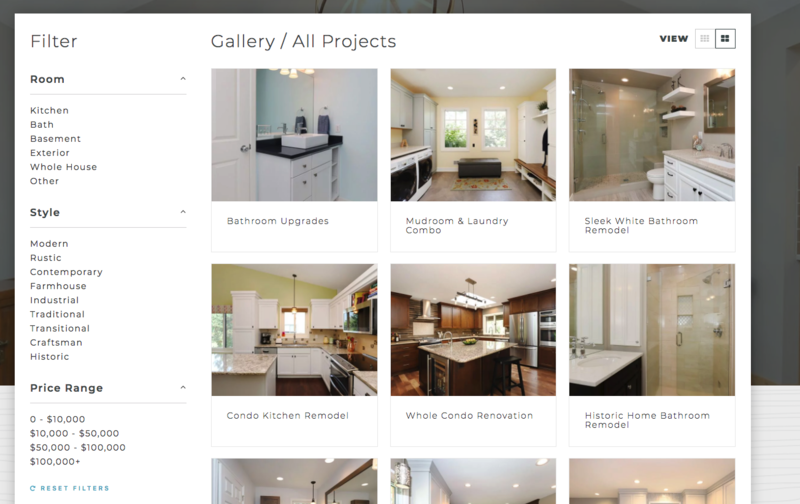 Because of this custom development, the Thompson Remodeling team can now send targeted follow-up content based on the user's activity on the galleries of interest to them. Viewing a modern kitchen remodel gallery for less than $10,000? You are then able to enroll that contact into an email workflow for "Modern Kitchen Remodels on a Budget" for personalized content that moves that prospect further down the funnel. Furthermore, new contacts and conversions mean nothing for Thompson Remodeling if they don't translate into actual paying customers. The conversion rate to customers from the gallery pages is also showing great results, producing 29 new customers from the gallery changes alone in just four months.